At Norse, we specialise in complex shapes and believe that the key to high quality sand casting lies in the pattern making. The availability of both electric and gas furnaces allows the selection of the most efficient and cost effective melting process. Volume core production from the core shop is mantained using highly efficient loading and compacting methods including core shooter systems. With production flow critical to factory efficiency, roller conveyors and six station mould carousels save valuable time. 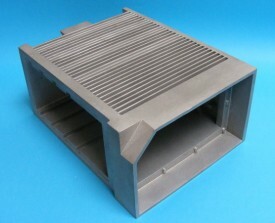 Boxless moulding methods and resin bonded sand produce castings with an excellent surface finish. 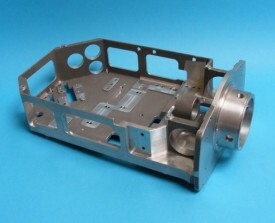 On-site post-casting operations, including straightening, heat treating, CNC machining, finishing, and assembly, are all under the one roof, enabling some very short lead times. In-house heat treatment using electric top-loading ovens and water quenching meets most customer requirements. 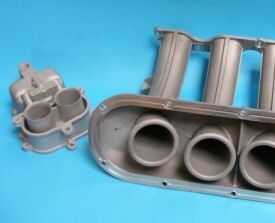 A variety of finishing processes include shot blasting, anodising, impregnation and conventional painting. A service for many other treatments and finishes such as powder coating, vandal resistant clear powder and screen printing are provided by carefully chosen suppliers, who are regularly assessed to ensure continued conformity to the high standards demanded. Follow the link to find out more about Paint Finishes.